Chinese investors, particularly those from the mainland are set to become the biggest group of investors in London with a relaxation of the amount of money that can be moved overseas due to be implemented soon, it is claimed. The changes in the stock market may also play a key role as wealthy Chinese investors turn away from their domestic market to explore new investment opportunities overseas, says upmarket estate agent Harrods Estates. Typically Chinese spend up to £2 million on a new off plan development in London, however the firm believes this will change with buyers from China looking at investing from £2 million to £50 million in real estate. 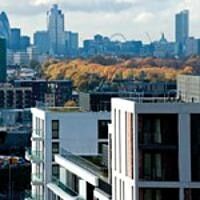 ‘There is a huge amount of wealth in China and although we have started to see investment in London property in the last five years, the focus has been on off plan new build developments ranging from £500,000 to £5 million,’ said Simon Barry, head of new residential developments at Harrods Estates. ‘This is just the beginning of a vast amount of wealth from China and we expect this will increase dramatically over the coming years, when Chinese billionaires will look to spend anything from £5 million to £50 million,’ he added. Over the past two decades, wealth generated by China’s rate of economic expansion has flowed into Hong Kong and Singapore through corporate investment, much of which has fuelled the demand for London property. Harrods Estates has seen investors from Beijing, Shanghai, Hong Kong and Singapore, with mainland China still untapped due to an initial focus on the domestic property markets. This is now set to change as a handful of developers and estate agents explore the opportunity to reach out to mainland China, where there has not been direct to overseas property markets. ‘We expect to see more high level Chinese executives finding time to travel to London and other international centres, seeking out new markets and new opportunities outside of China,’ said Barry. He pointed out that at present there are capital controls in place restricting potential Chinese purchasers taking out US$50,000 per year, however a revised version of the Qualified Domestic Individual Investor programme (QQII 2) has recently been announced although it has yet to be implemented. ‘The programme will be open initially to anyone working in six major cities with assets in excess of circa US$160,000, and will allow them to export up to 50% by value of their net worth. For corporate investment the capital limit would rise significantly to US$1 Billion,’ he explained. He believes that China’s slowing economy and its recent stock market crash, which saw the Shanghai Composite Index lose 30% in value over a three week period in the middle of June and a further plummet in value in late July, will actually encourage investors to look at other opportunities. According to the firm one of the primary motivators for Chinese property investment in London will be education as increasing numbers of Chinese parents are choosing British educations for their children. London’s culture, retail and lifestyle will also be key contributors to increased investment in London property. It predicts that new build properties will continue to be popular choices for investment, however the estate agent has also seen an increased interest in period homes with brand new refurbished interiors. Shirley Humphrey, director at Harrods Estates, explained that the firm has been travelling abroad to destinations such as the Middle East, Russia and China to network and meet clients on a one to one basis for the last 12 years. ‘Harrods Estates is the real estate arm of the world famous department store, a brand which is renowned for luxury, service and quality and this adds huge value, particularly when hosting special events for these ultra high net worth individuals,’ she added.